In a factitious and synthetic country like Nigeria, ethnic identity must not be abandoned. How can the Ijaw people with over 13 million people, who live as far as Gabon and Sierra Leone, not have an airport that they can truly call their own. By inaugurating the Yenogoa airport, Governor Seriake Dickson has given the Ijaw nation a historic symbolism. On February 15, I watched the inauguration of the Yenagoa airport on television. The airport occupies 2,250 hectares of land and has 3.5 kilometres of runway. One of the world’s largest air cargo companies will establish its West African hub in Yenogoa to serve Nigeria, West and Central Africa. The construction of the airport started in 2012 shortly after Governor Henry Seriake Dickson assumed office in Bayelsa State. Governor Dickson, the big man with big ideas, pursued the construction of the airport relentlessly. I am still worried why the airport was not completed during the tenure of former President Goodluck Jonathan. In spite of the money expended on the project, I consider the airport as a symbol of the Ijaw people, also known by the subgroups “Ijo” or “Izon”, who are a collection of peoples indigenous to the Niger Delta in Nigeria, inhabiting regions of the States of Ondo, Bayelsa, Delta, Edo, Akwa Ibom, and southern part of Abia and Rivers States. Ethnic identity and national identity may be in conflict. National identity can be thought of as a collective product. In spite of the huge cost, certain historical symbolism must be established that promotes ethnic identity. Ethnic identity is paramount. In a factitious and synthetic country like Nigeria, ethnic identity must not be abandoned. How can the Ijaw people with over 13 million people, who live as far as Gabon and Sierra Leone, not have an airport that they can truly call their own. By inaugurating the Yenogoa airport, Governor Seriake Dickson has given the Ijaw nation a historic symbolism. The Ijaws can now proudly claim that they too have an airport. With the inauguration of the Yenagoa airport, all the six state capitals of the South-South now have an airport. They are Port Harcourt, Benin, Uyo, Asaba, Calabar and Yenagoa. I remember with nostalgia my first visit to Sagbama, in the present Bayelsa State, which happens to be the hometown of Governor Dickson. My visit there was in 1980. We took a boat ride from Port Harcourt to Sagbama. We were on the sea for hours. We passed through Ossiama, Adagbariri, Adoni, Agbere, Asamabiri, Angalabiri, Ebedebiri, Osekwenike and Agoro. I understand that Governor Dickson has constructed a road linking Sagbama with Yenogoa now, which I regard as one of the wonders of the world. When Governor Dickson’s term ends on February 14 next year, he will be 54. He will be too young to be called an elder statesman then and with all his proclamation on Ijaw nation and what he has done in Bayelsa State in the last seven years, I am sure he will not live permanently in Abuja and Lagos. He may find it convenient to live in Yenagoa and will seek his Senior Advocate of Nigeria (SAN) award, while pursuing his legal career as a corporate lawyer. 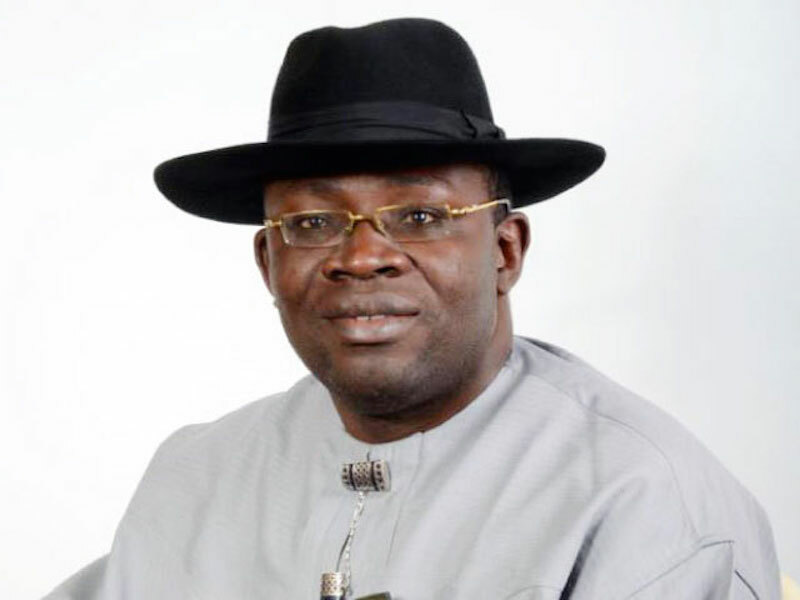 By February next year he will be the first governor to have served two full terms in Bayelsa State. The next few months will be challenging in finding a worthy successor to take over from him, so that his legacy will be of continuity. Governor Dickson should ensure that the Port Harcourt/Yenagoa road is fully completed before February. Dickson has done a lot for the State, and it is my hope and desire that we should be hearing good news from the Niger Delta. That region has seen enough tragedy in spite of the fact that the region feeds the nation through its natural resources. I remember that Chief Obafemi Awolowo had highlighted the division that existed in the then eastern region when it was made up of what we regard as the South-East zone, Akwa Ibom, Rivers, Bayelsa and Cross River State. He insisted before the Civil War that the non-Igbos must be separated from the Eastern Region. Chief Awolowo described the non-Igbos in the then Eastern Region as the COR region people. COR simply meant at that time as Calabar, Ogoja and Rivers. In a speech delivered by Chief Obafemi Awolowo on May 1, 1967 before the Civil War in Ibadan, he said “there are eleven national or linguistic groups in the COR area, with a total population of over five million. These national groups are as distinct from one another as the Ibos are distinct from them or from the Yorubas or Hausas. Of the eleven, the Efik, Ibibio, Annang national groups are 3.2 million strong as against the Ijaws, who are only about 700,000 strong. Ostensibly, the remaining nine national groups number 1.4 million. But when you have subtracted the Ibo inhabitants from among them, what is left ranges from the Nigerians, who number 8,000 to the Ogonis, who are 230,000 strong. A decree creating a COR state without a plebiscite to ascertain the wishes of the peoples in the area, would only amount to subordinating the minority national groups in the state to the dominance of the Efik-Ibibio-Annang national group. It would be perfectly in order to create a Calabar state or a Rivers state by decree and without a plebiscite: each is a homogenous national unit, but before you lump distinct and diverse national units together in one state, the consent of each of them is indispensable, otherwise, the seed of social disequilibrium in the new state would have been sown. On the other hand, if the COR state is created by decree after the Eastern Region shall have made its severance from Nigeria effective, we should then be waging an unjust war against a foreign state. It would be an unjust war, because the purpose of it would be to remove ten minorities in the East from the dominance of the Ibos only to subordinate them to the dominance of the Efik-Ibibio-Annang national groups”. On May 27 1967, General Gowon created two states out of the then Eastern Region. The states were South Eastern State and Rivers State. The people of the South-South owe a debt of gratitude to General Yakubu Gowon for creating those two states and appointing indigenes of the states as military governors. He appointed Brigadier Udoakaha Jacob Esuene (1933-1993) as military governor of South Eastern state and Commander Alfred Papaprieye Diete-Spiff, an Ijaw man as military Governor of Rivers State. General Gowon also appointed Dr. Okoi Arikpo (1916-1995), Chief Wenike Opurum Briggs and Chief Edwin Kiagbodo Clark as ministers. He also made Chief Harold Jenewari Dappa Biriye (1920-2005) as chairman of National Arts Council. The Council was involved in the preparation of FESTAC 77. Before the creation of states by General Yakubu Gowon, the problem of the Niger Delta started years ago with collapse of the structure system in the early 19th century. The causes of the collapse must be traced primarily to the dominant economic change of the era — the abolition of the slave trade and also to its resultant social and political effects. The abolition of the slave trade by the British at the beginning of the 19th century (1807) had adverse effect on the economy of the Delta states. In the effort to effect the abolition, British warships blockaded the coasts of the Niger Delta to prevent slave ships taking slaves from Delta ports to the New World. And although the slave trade continued desultorily through smuggling until 1840s, the illegal traffic was fast declining and the coastal communities who had depended far too long on a slave-trading economy suffered a rude economic shock. It is true these states made efforts to offset the threatening economic collapse arising from the abolition by changing over to the growing palm oil trade. But the British did not allow them to gain full advantage from this new trade. They used warships of the British Navy against the city-states in order to gain trading advantages for British merchants. In 1854, Consul Beecroft used the warships to force King Dappa Pepple of Bonny into exile in order to satisfy the demands of British supercargoes here who felt the king was obstructing British trade by not yielding to their terms of trade. In 1856, Consul Lynslager destroyed Old Town, Calabar to punish King Eyo and African merchants for attempting to ship oil direct to England. Another factor which brought economic ruin to the Delta states was British commercial penetration into the interior of the country especially along the Niger River. The rivalry between the Delta middlemen and British traders beginning with Macgregor Laird in 1856 reached its climax in their struggle with the Royal Niger Company from 1886. By establishing a stringent monopoly of the Niger trade, the Company stifled the Delta middlemen out of business. Brass and Opobo were the most hard-hit and collapsed economically.